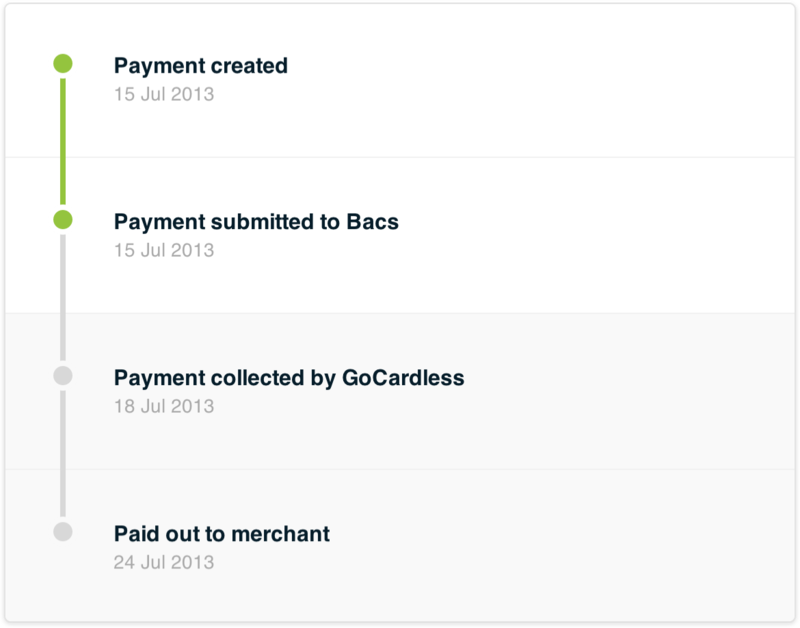 Today, we're introducing a much improved payment timeline to your GoCardless dashboards. 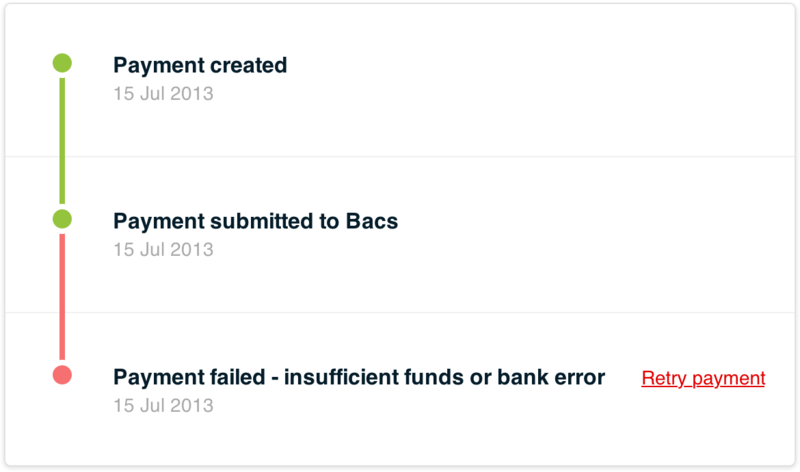 The new interface provides more clarity around each stage of the payment process by recording events as they happen such as refunds or subscription cancellations. We also now combine each step of the process with actions that you can take. When things don't go to plan, it's important to know exactly what's going on. The new timeline will display clearly any problems with your payment and allow you to easily resolve them. For example, in the rare event that a payment fails because of insufficient funds, we'll tell you and let you retry the payment. We hope the new payment timelines will make it easier to see the status of your payments as well as see exactly when you'll be getting paid. Login to your dashboard now to check them out.